iPad-based point-of-sale platform maker Revel Systems has raised $100 million in a Series C round of funding, multiplying the startup’s existing funding raise by almost a factor of ten. The new funding comes from NYC private equity firm Welsh, Carson, Anderson & Stowe, along with some select strategic investors, and includes both an up-front $65 million investment from WCAS itself, as well as $25 million in an equity line. As part of the deal, Revel will take on its first external board member, adding Sanjay Swani, WCAS general partner. Falzone says they’re looking for a COO and CFO to expand their executive staff, and also looking to increase the size of their fulfillment and operations team considerably. The COO role is designed for someone with fulfillment expertise, Ciabarra says, and the CFO, along with this investment, are also geared towards helping the company prep for an initial public offering, which he anticipates will come together sometime in the next two to three years. The Revel founders wouldn’t discuss the specifics of the valuation of their company, but they did say that they’re still majority shareholders, even after this large funding infusion, so it’s at least north of $230 million and probably a decent amount higher still. 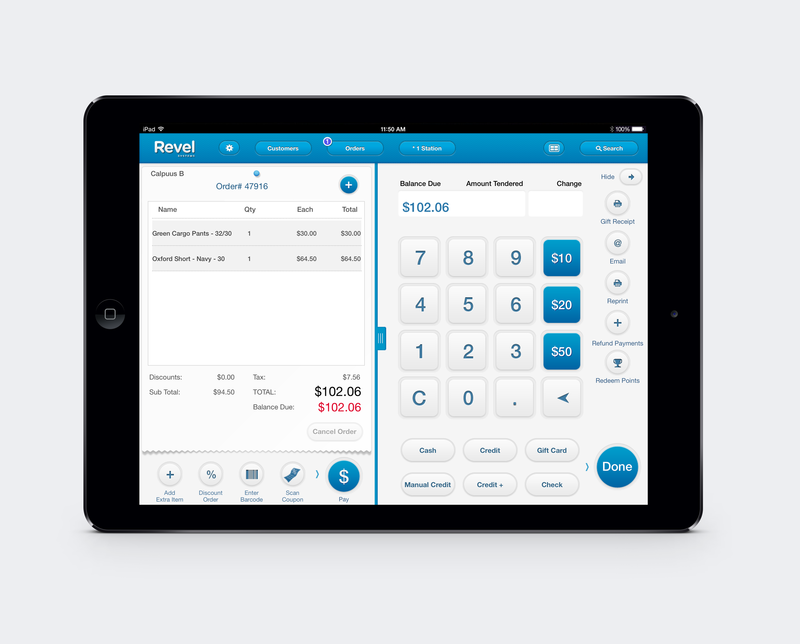 After championing iPad-based POS with SMBs and food trucks early on, Revel is now powering Dairy Queen, Goodwill, Smoothie King and other larger retailers and restaurants, too. Falzone says their appeal to WCAS was their ability to cater to both SMBs and larger enterprises, as well as their versatility in terms of spanning multiple verticals. The company was the first iPad POS maker to support Apple Pay, and will also continue ramping up new product development with the new funds. Revel has seemed like a lock for a leader in a market that’s likely to only get larger as companies look for modern alternatives to traditional POS systems, and now it has a serious war chest to help it take on the incumbents.